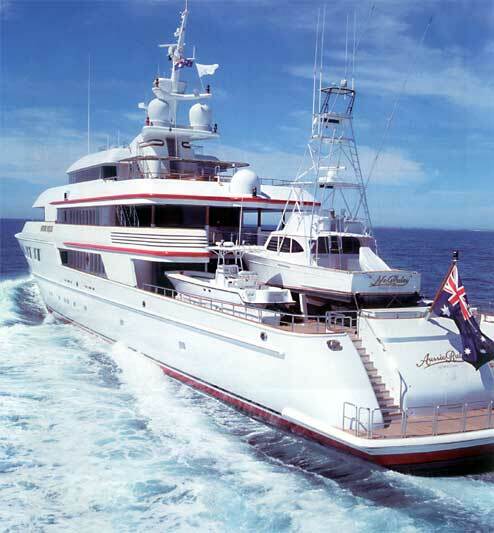 Luxury motor yacht NOMAD (ex Floridian and Aussie Rules) was built in 2003 by OceanFast with great interior and exterior design by bespoke Sam Sorgiovanni. 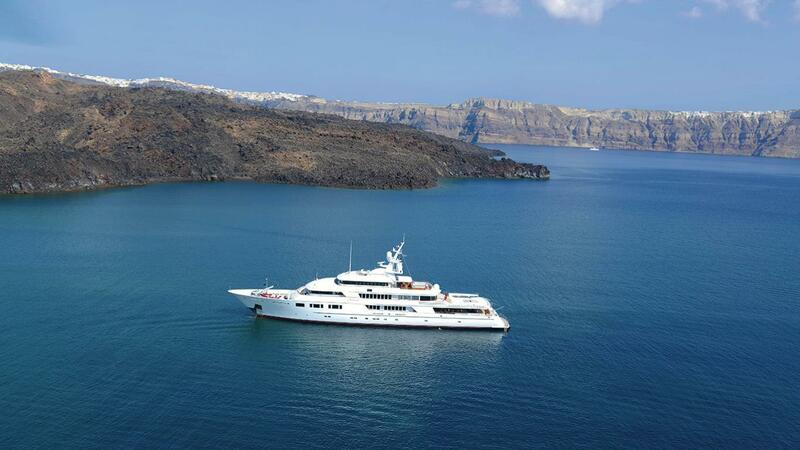 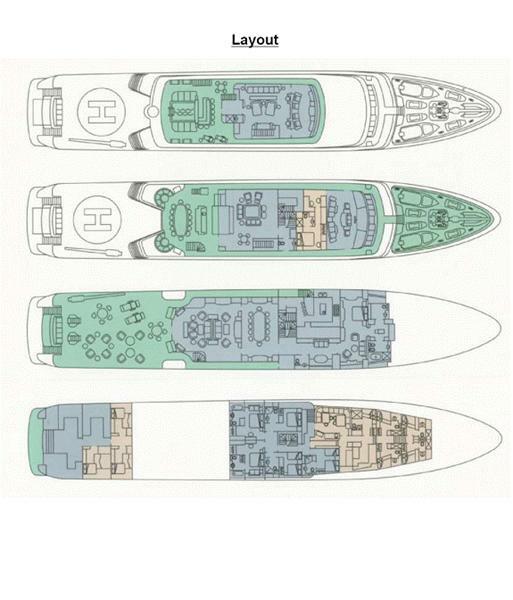 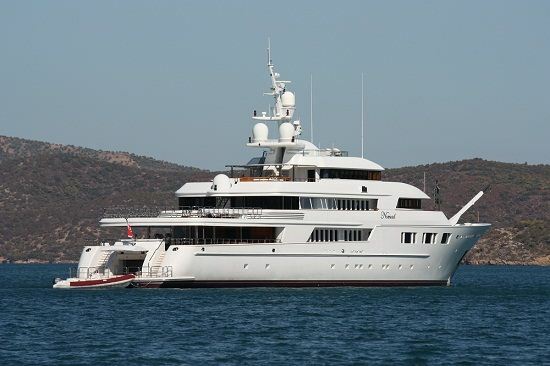 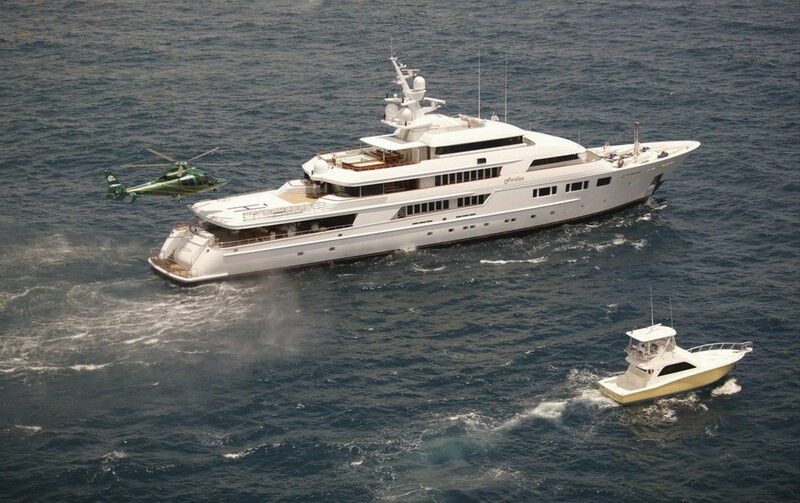 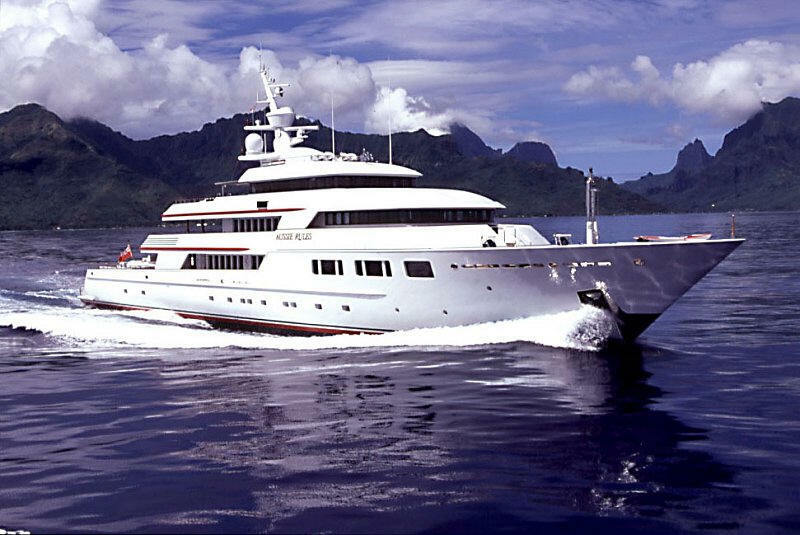 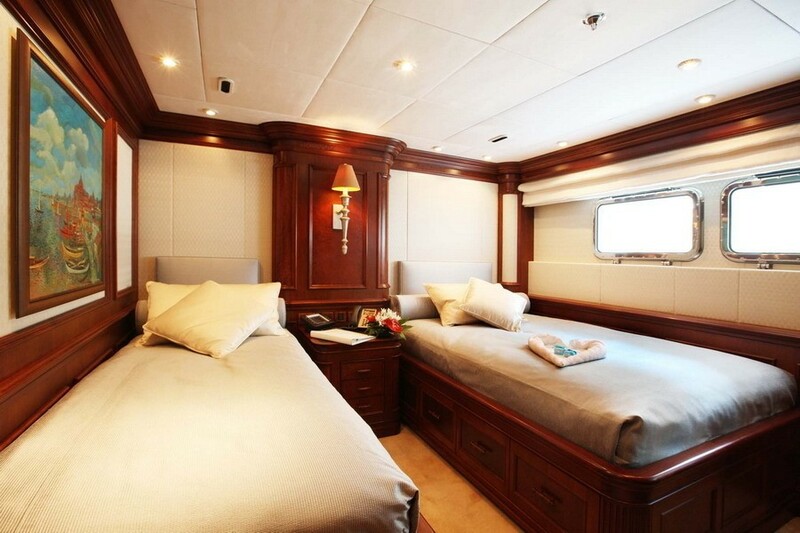 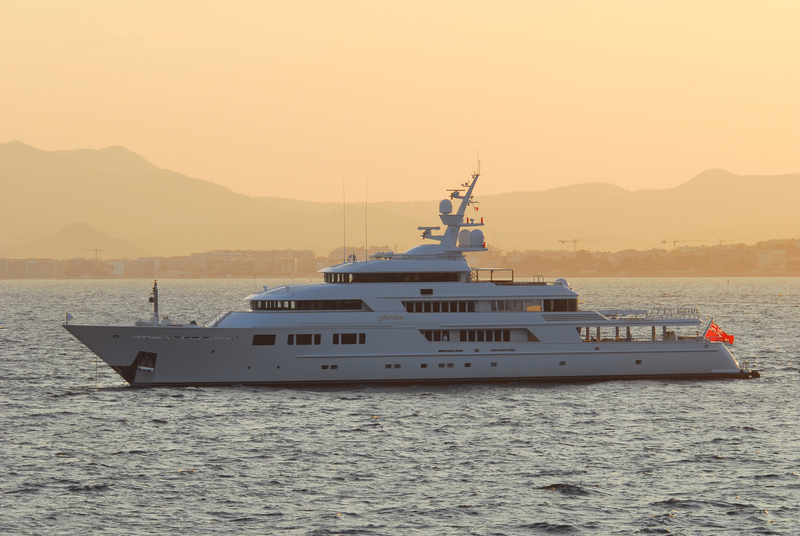 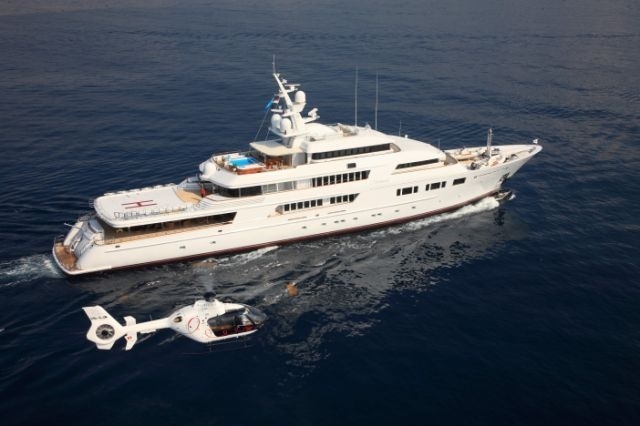 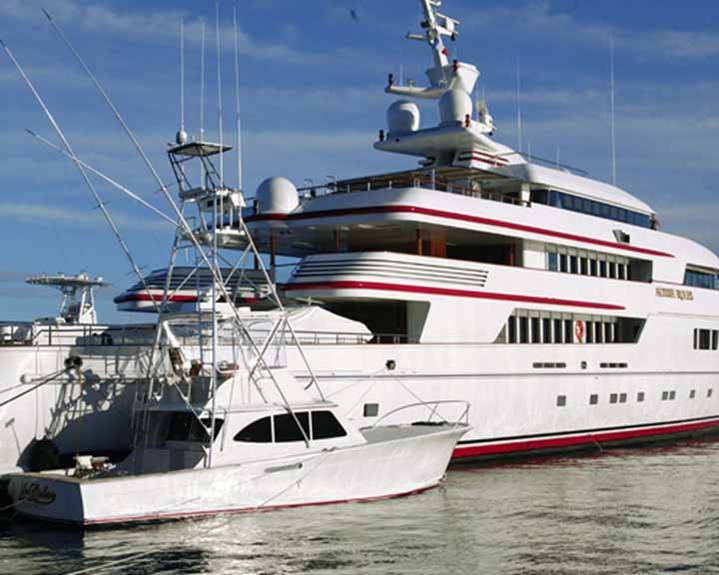 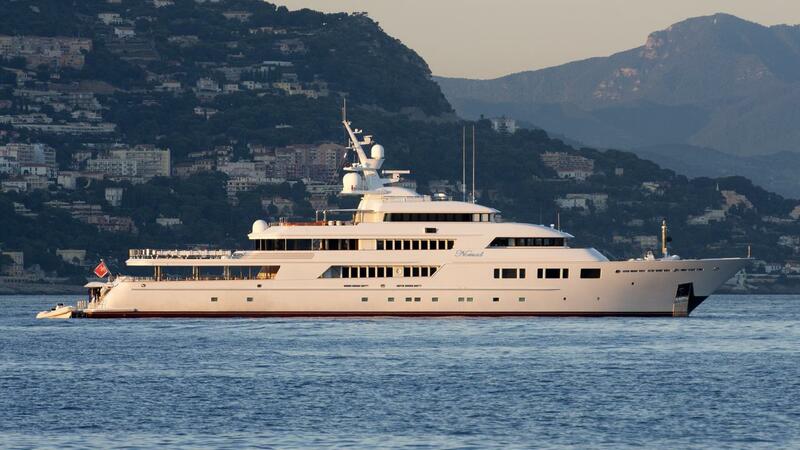 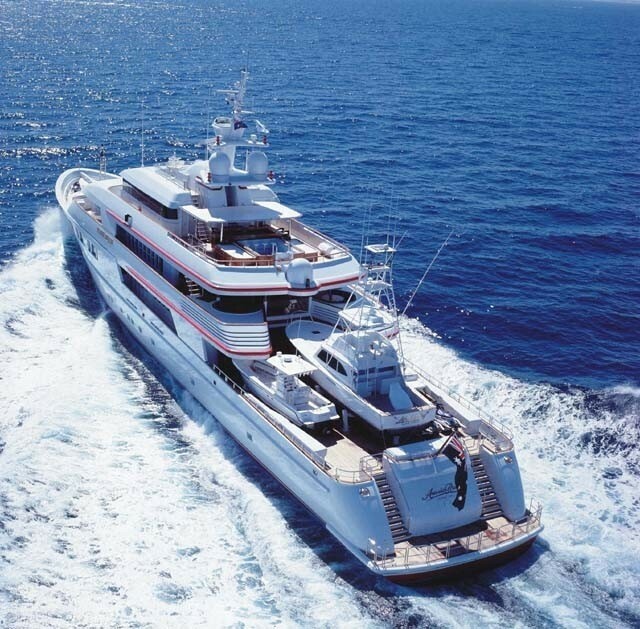 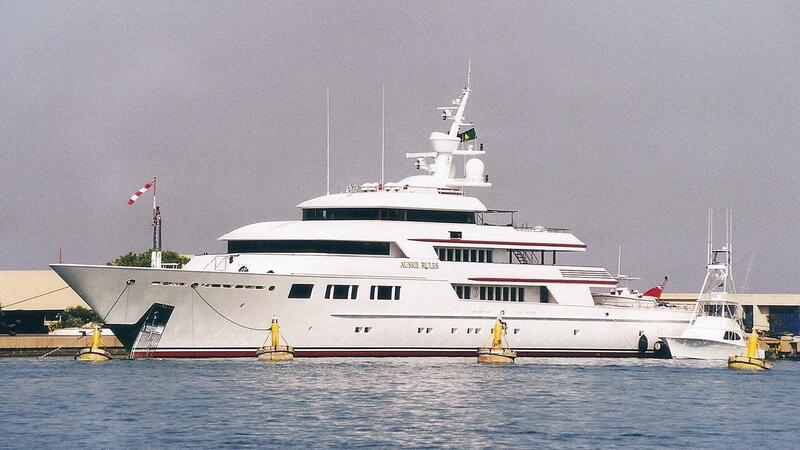 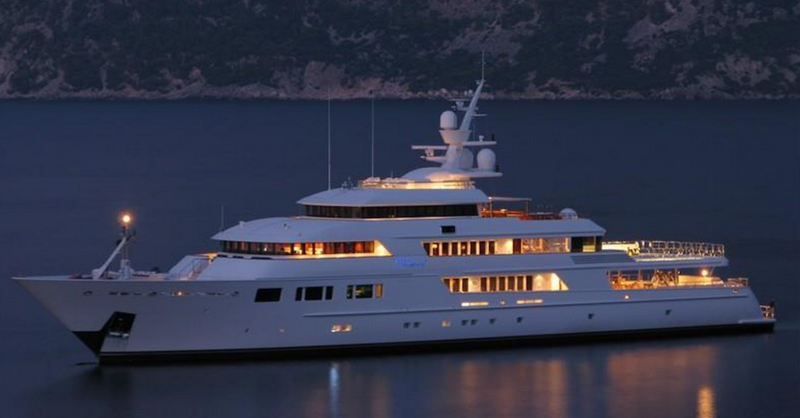 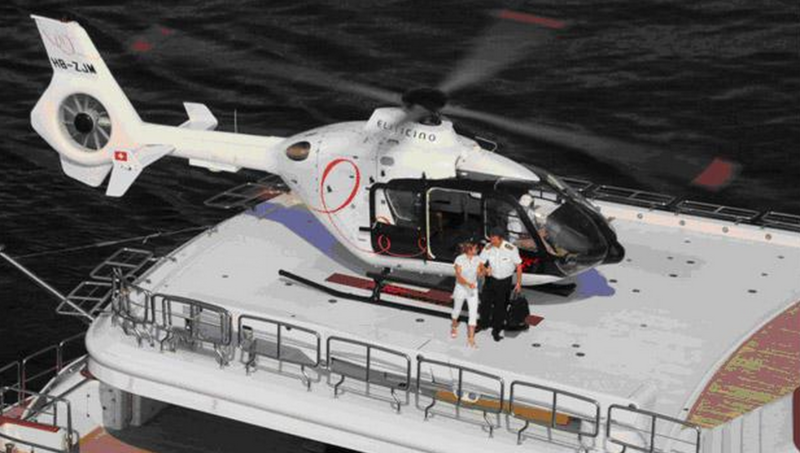 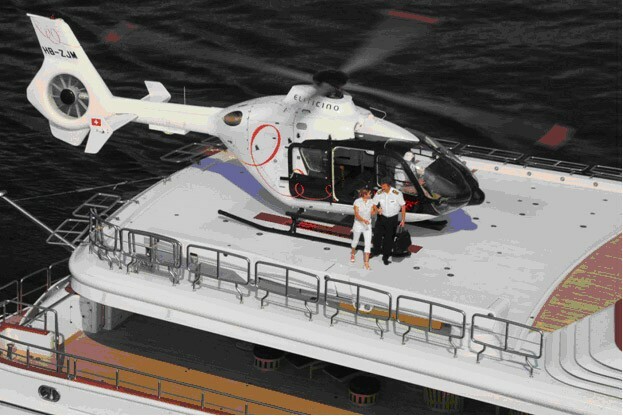 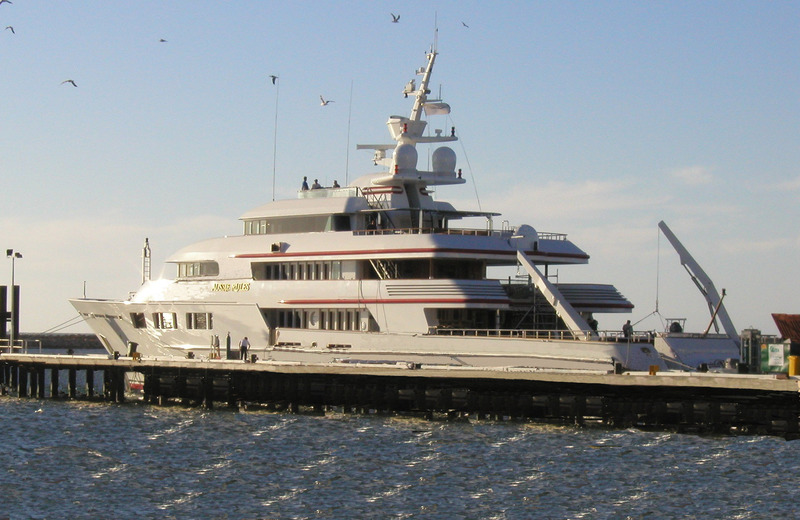 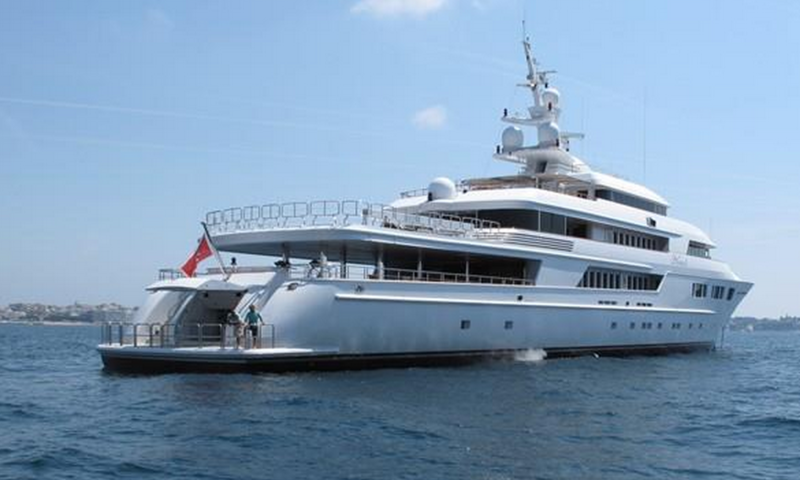 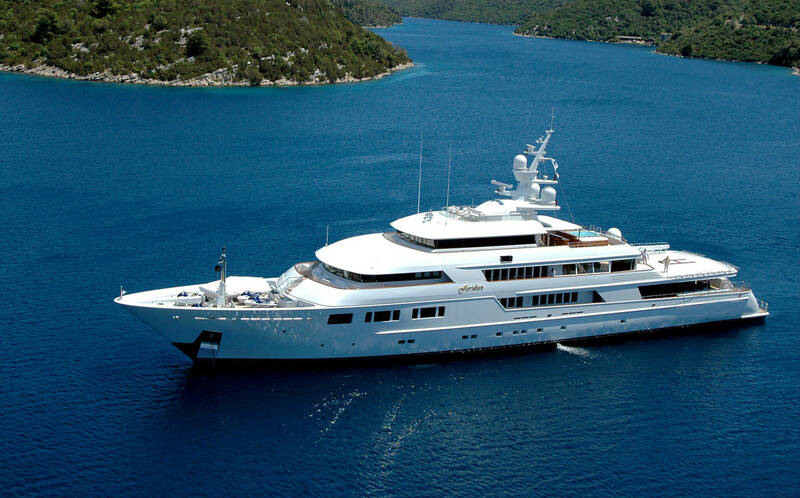 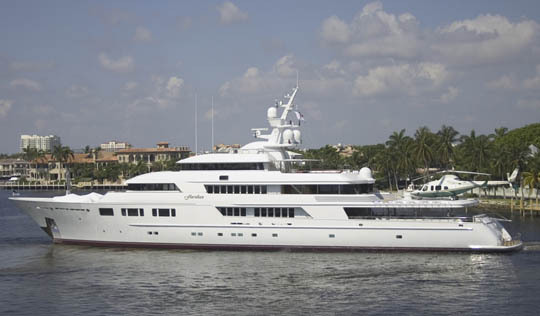 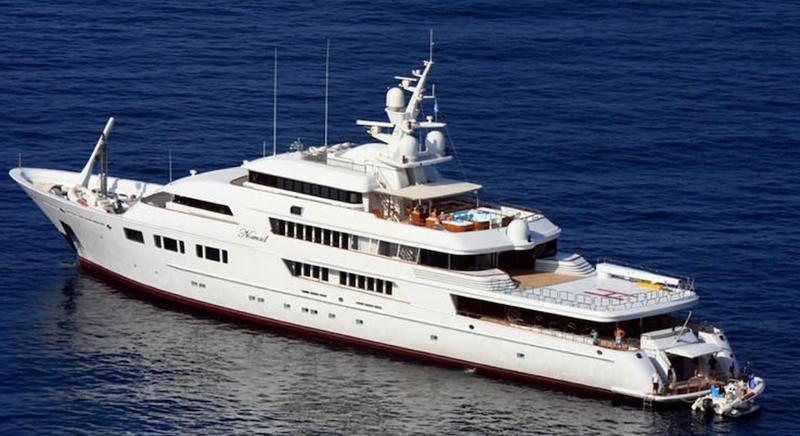 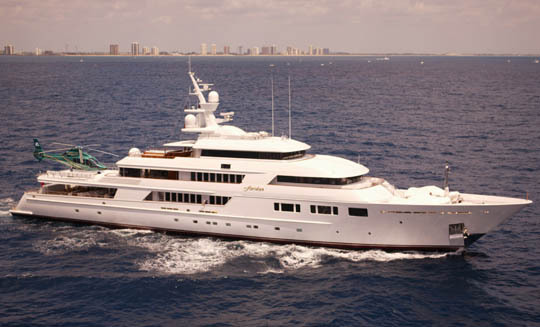 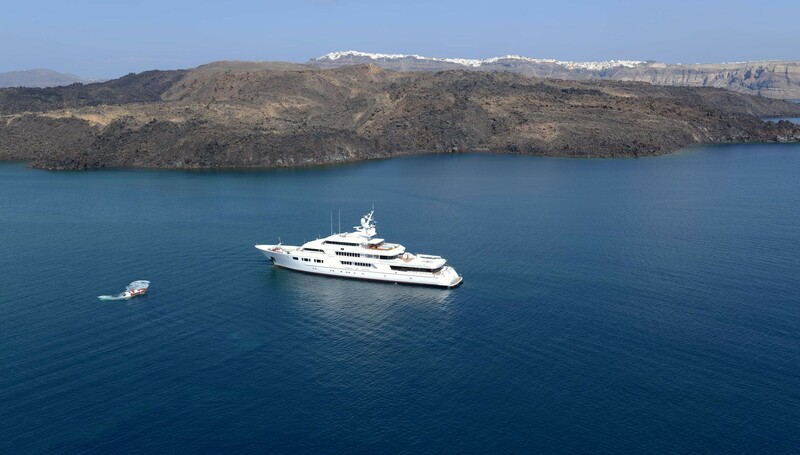 This 69.49m/227.1ft yacht was designed for long range exploration and comfortable cruising. 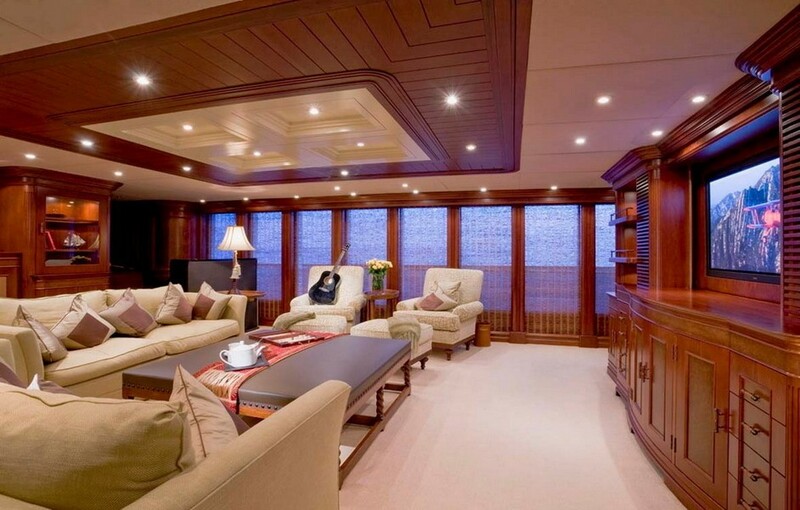 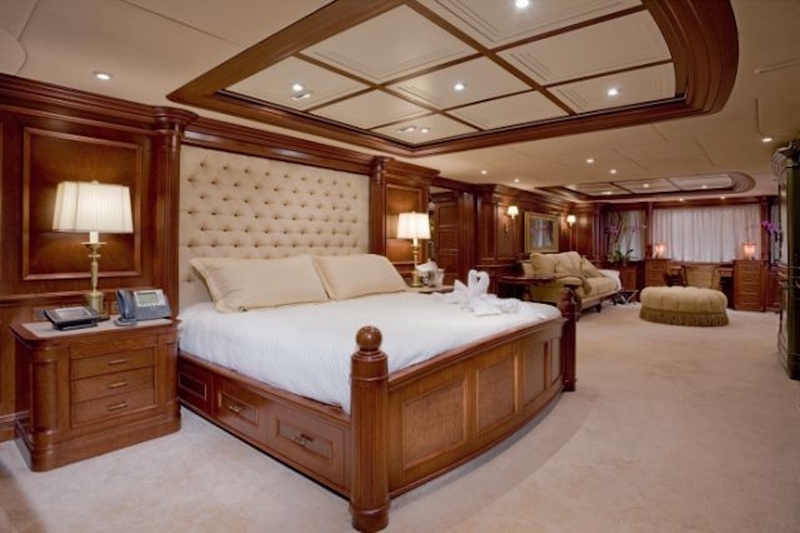 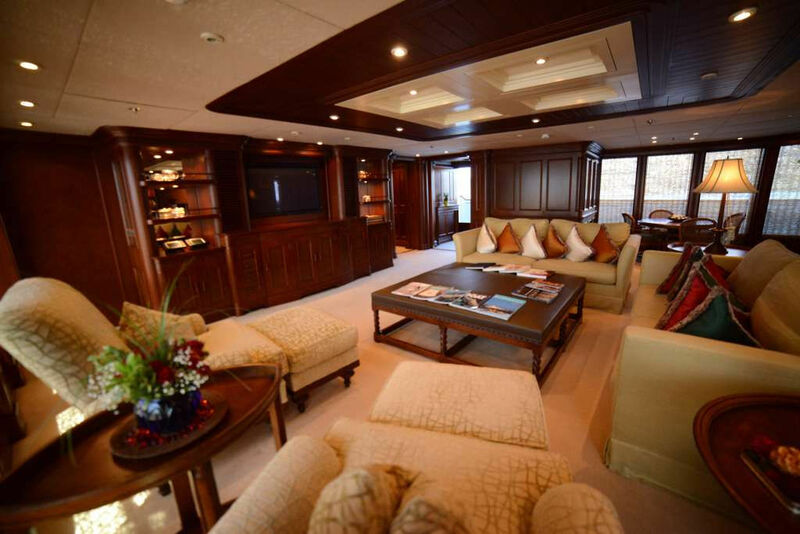 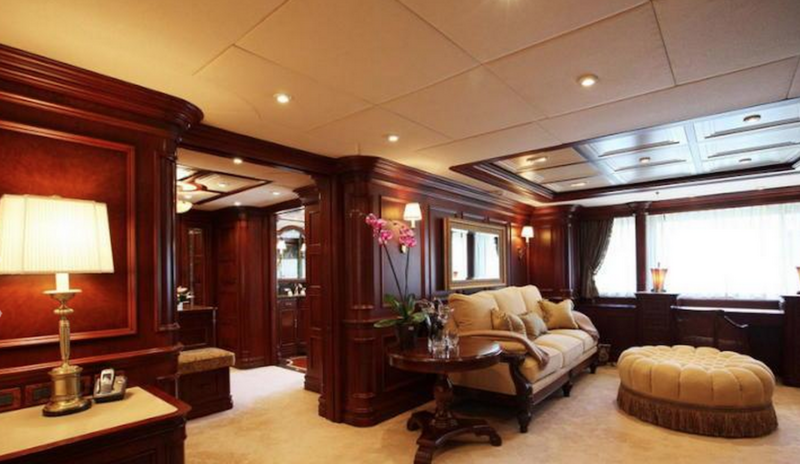 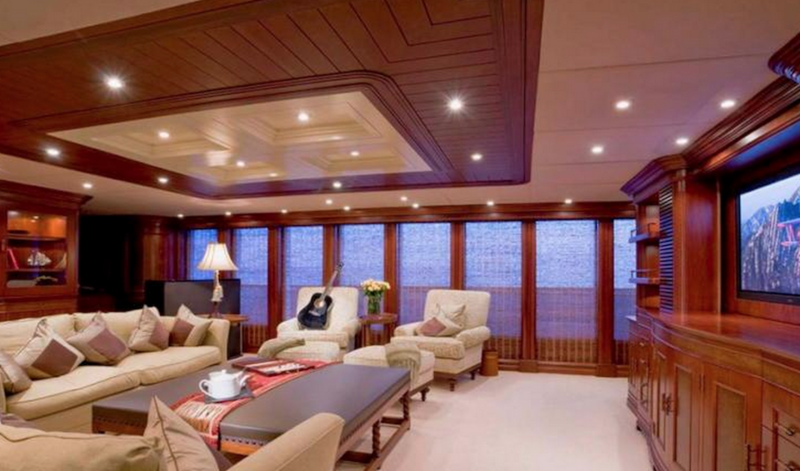 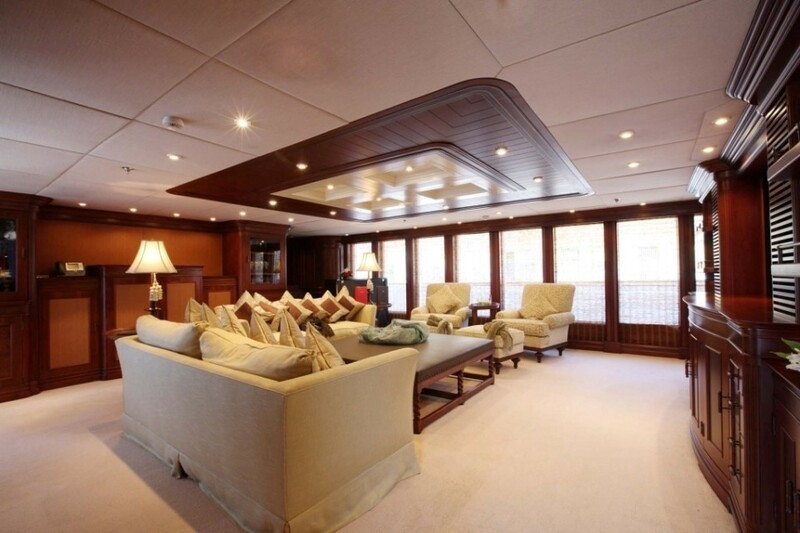 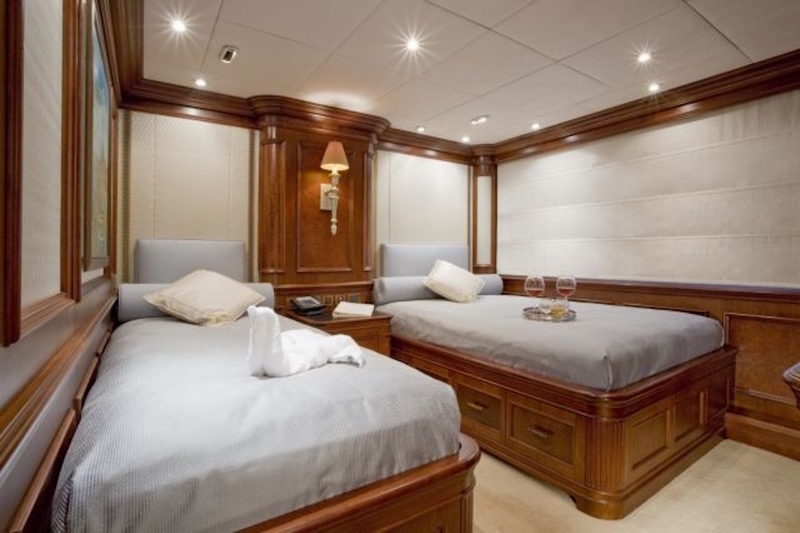 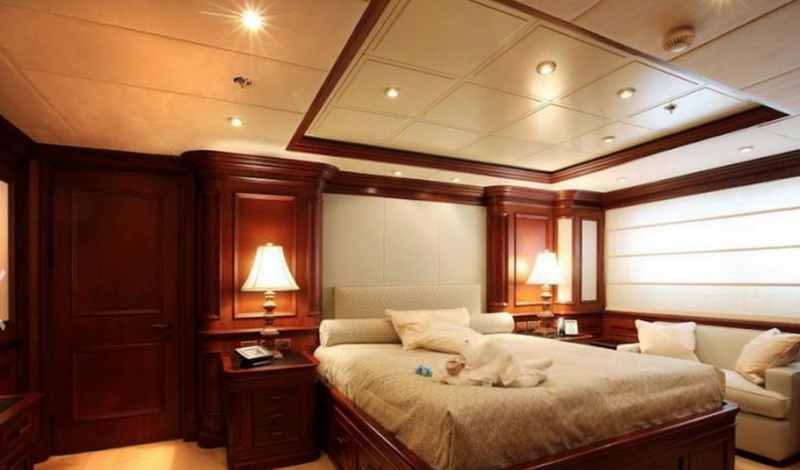 With a beam of 11.6m, she features plenty of superb spaces for relaxing and entertaining. 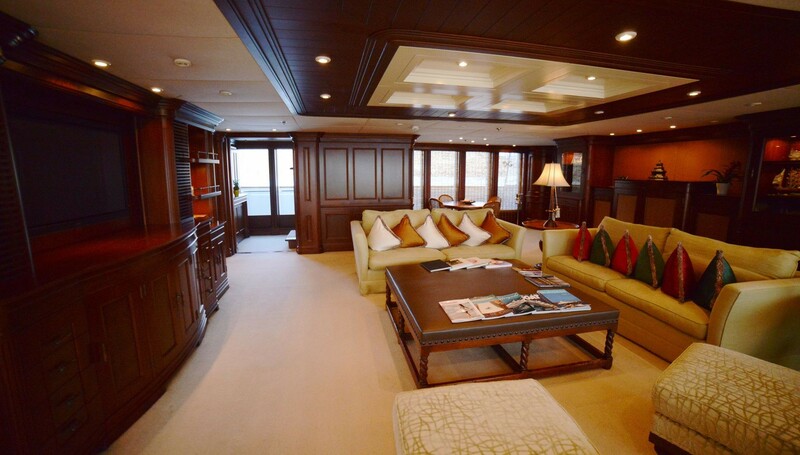 NOMAD underwent refits in 2005, 2008 and 2012. 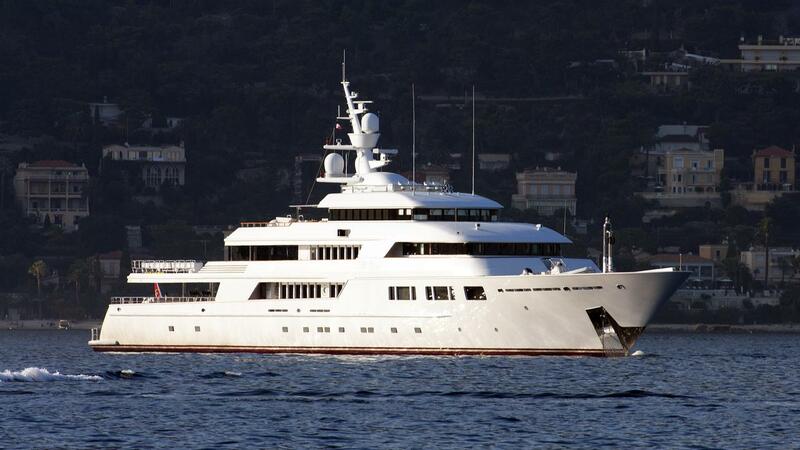 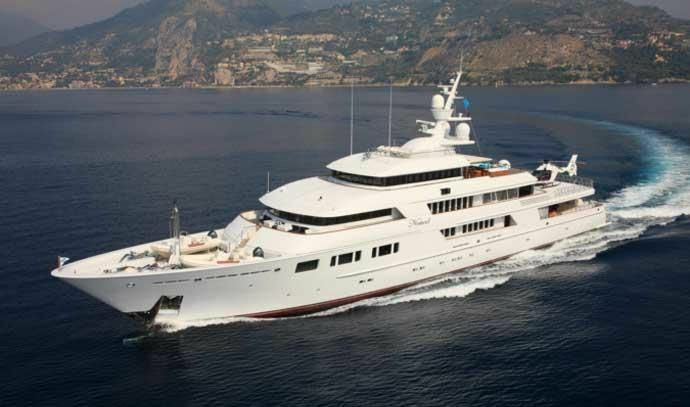 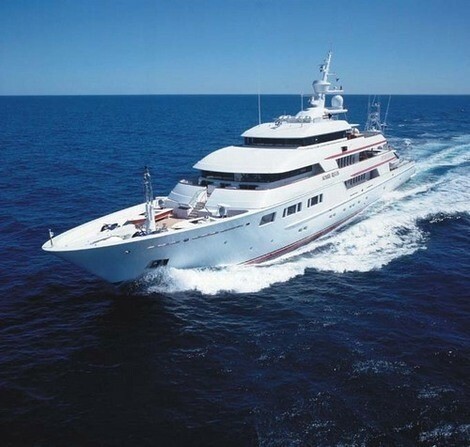 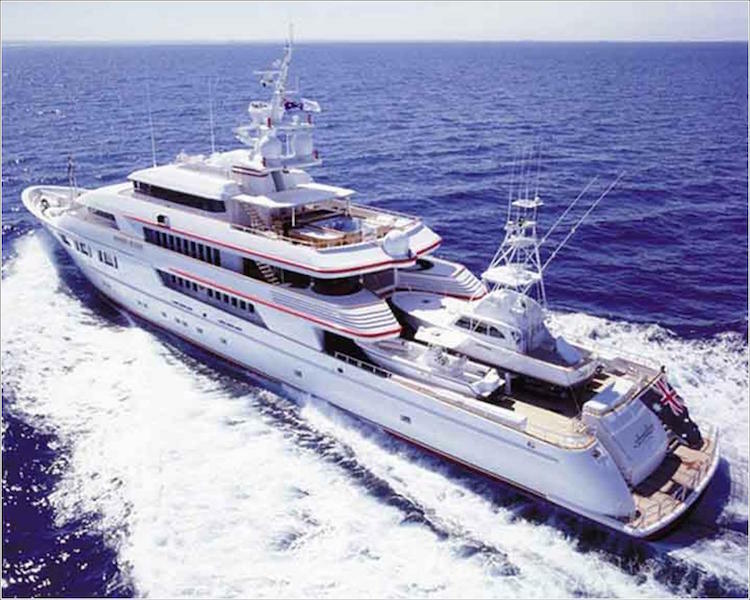 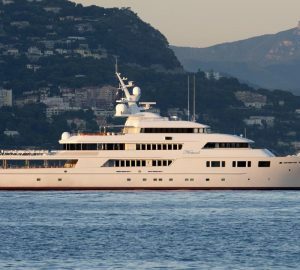 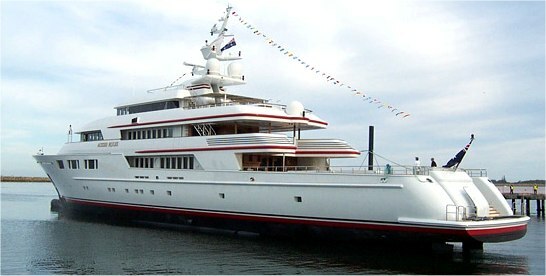 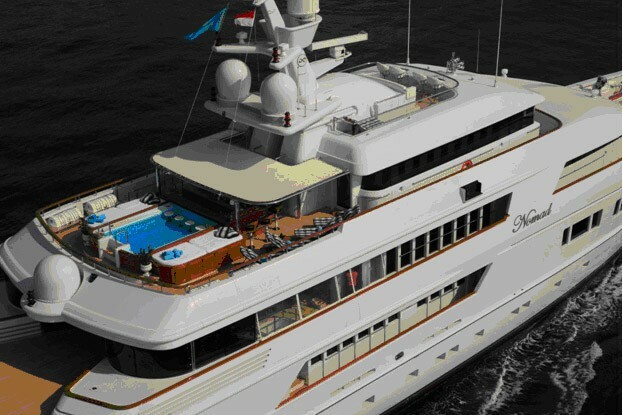 She is one of the most impressive and famous yachts available and is the largest aluminum luxury motor yacht in the world, and she offers a massive collection of toys, tenders, fishing and dive equipment. 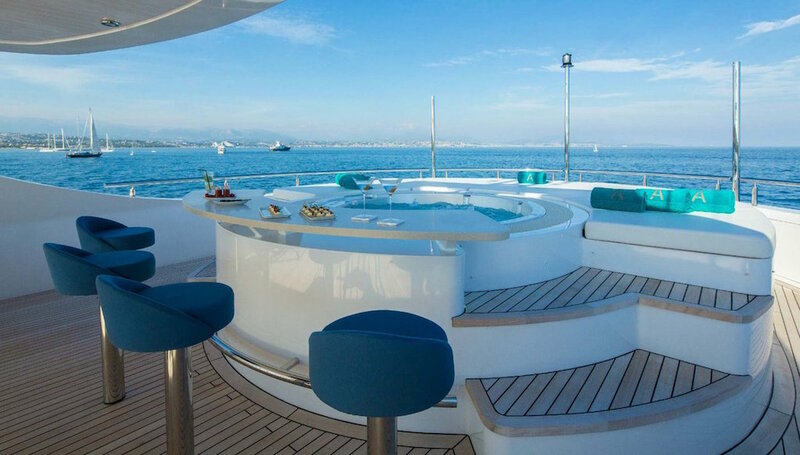 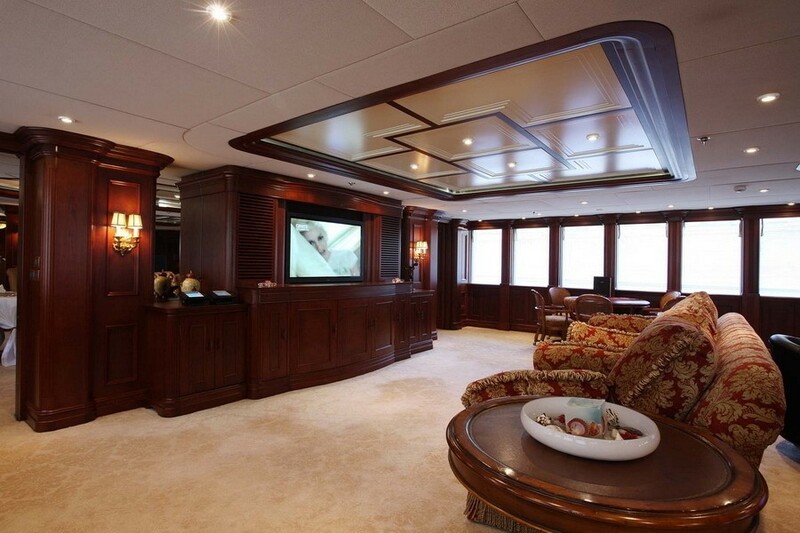 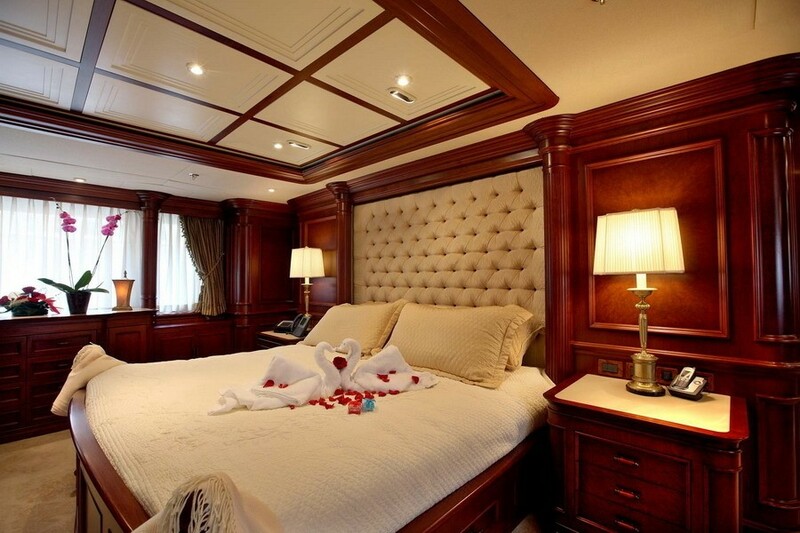 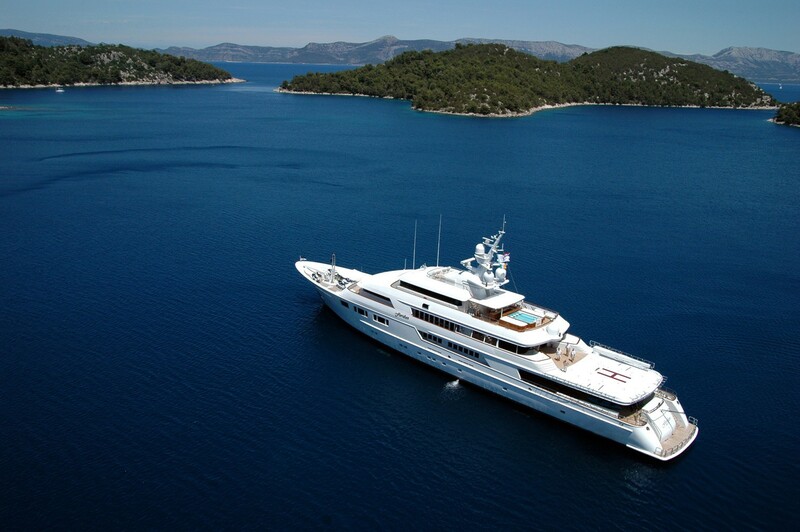 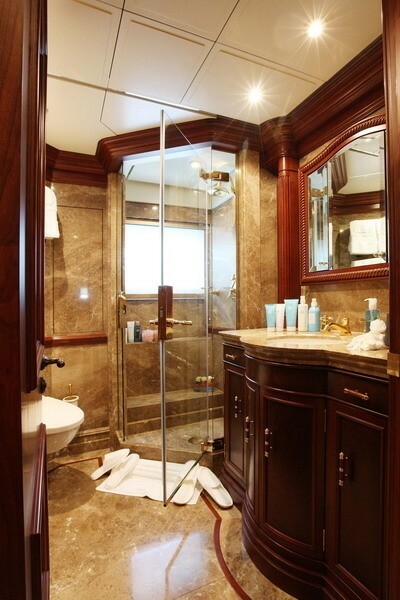 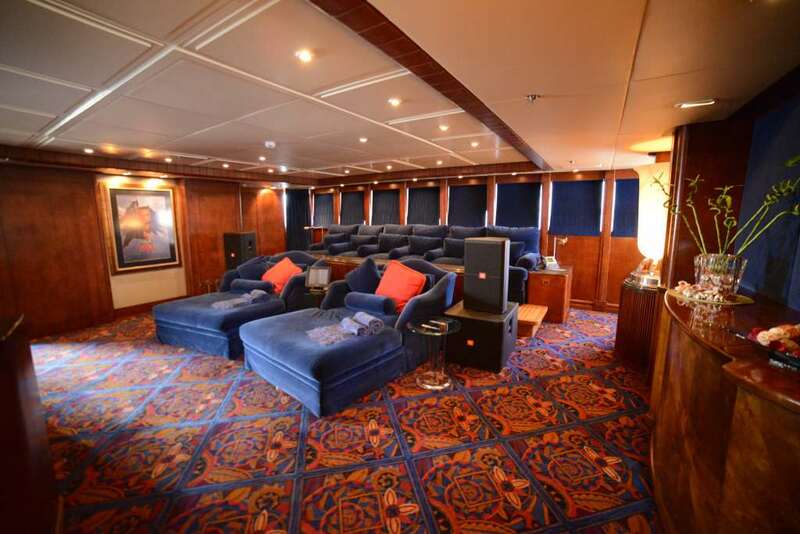 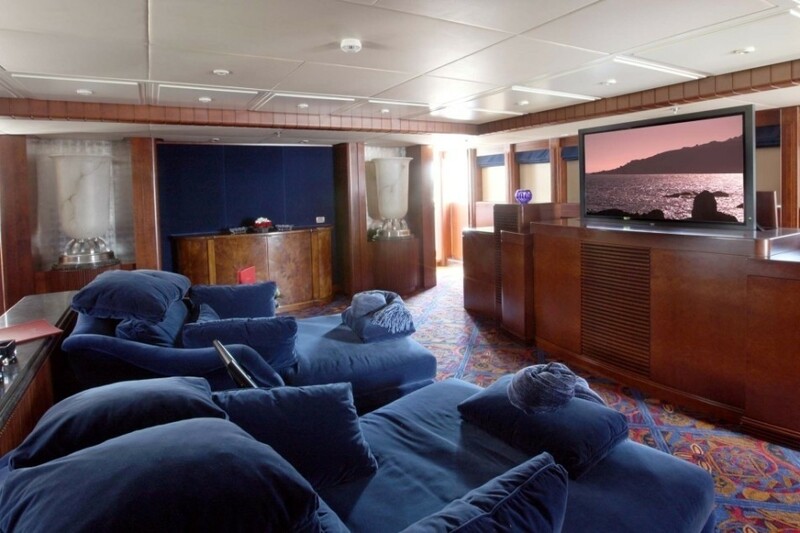 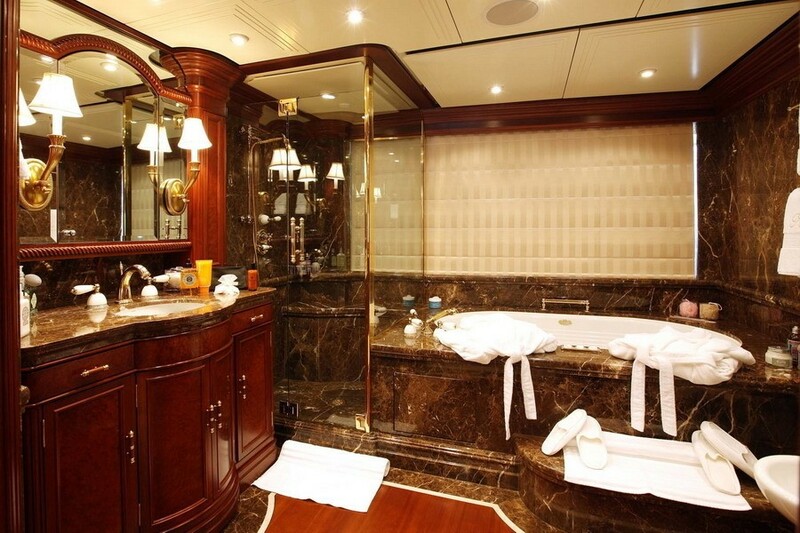 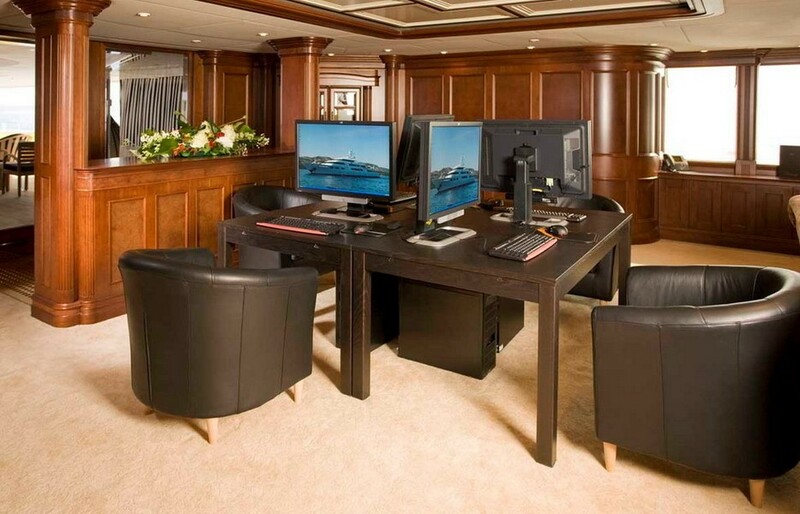 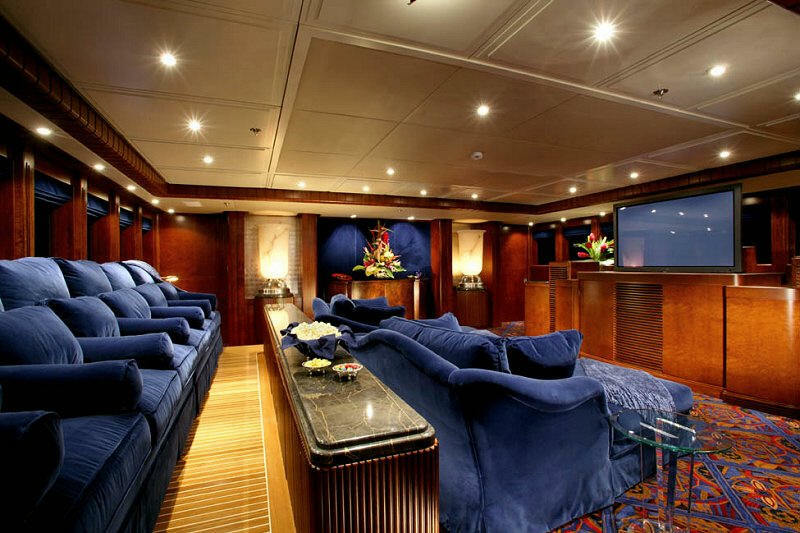 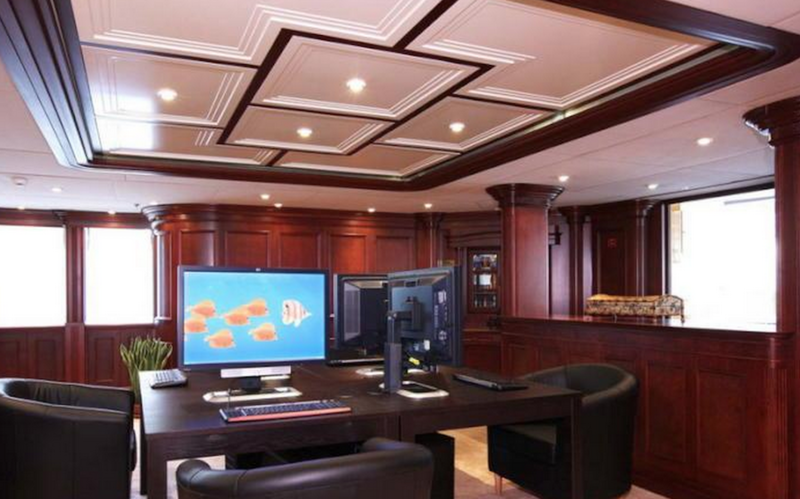 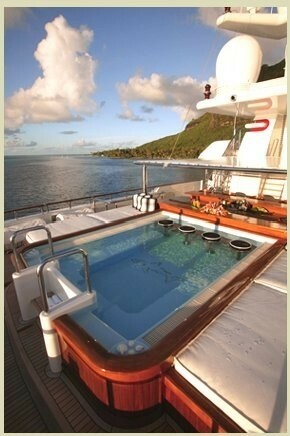 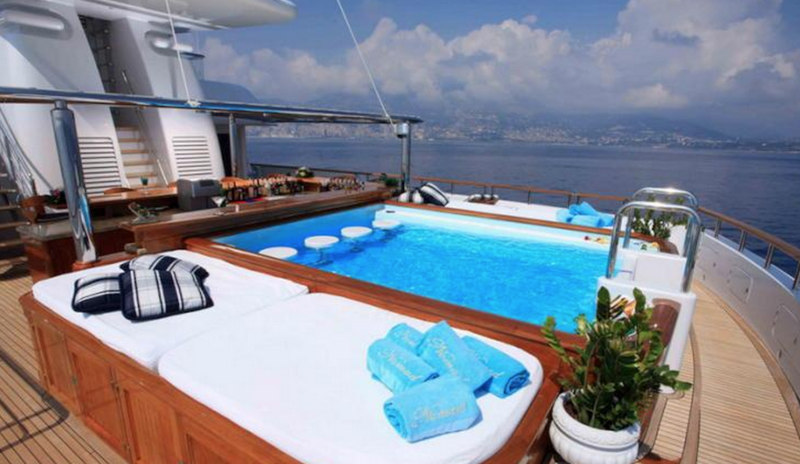 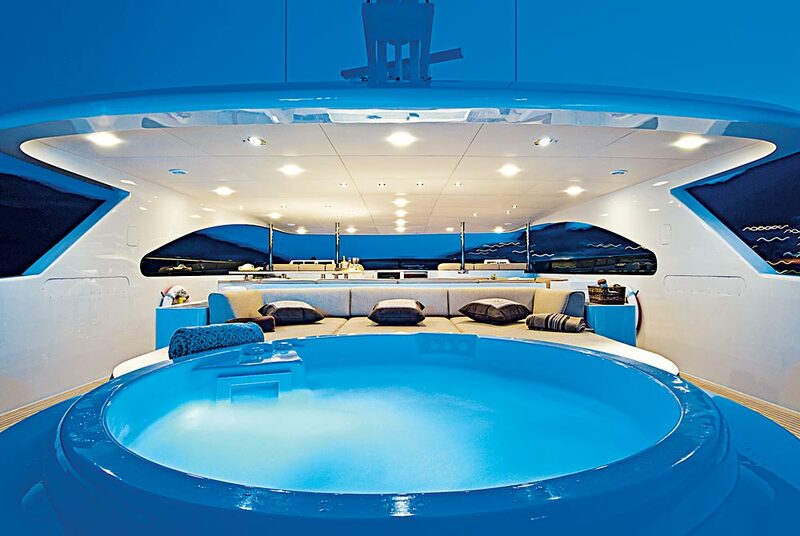 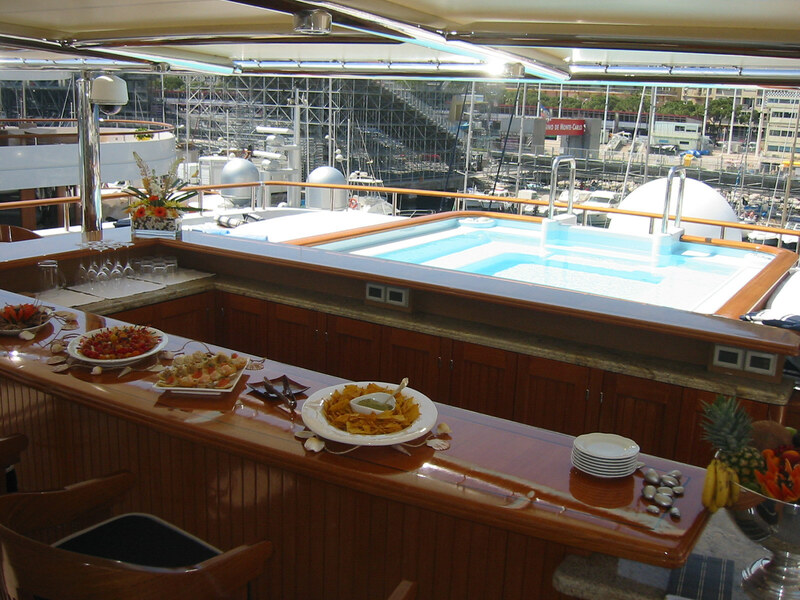 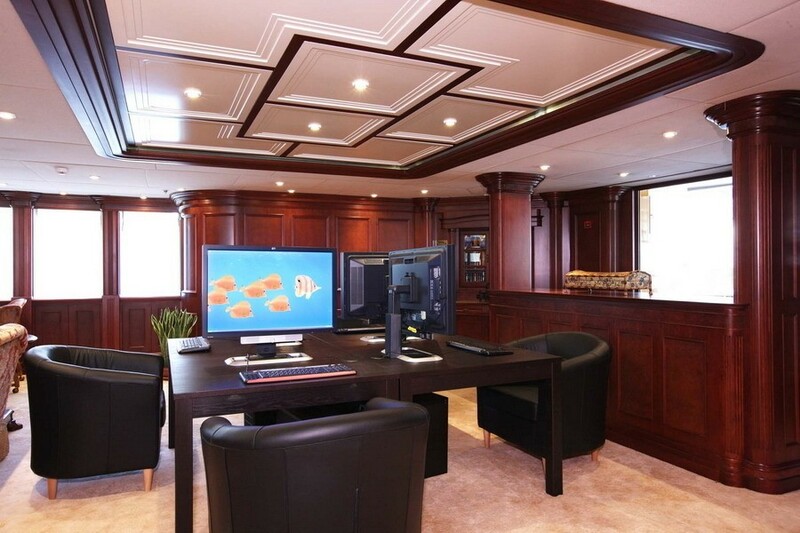 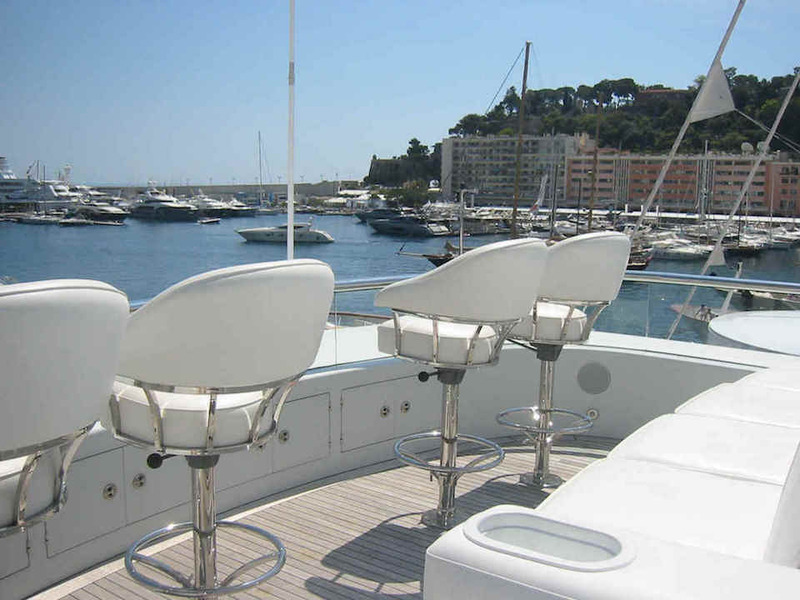 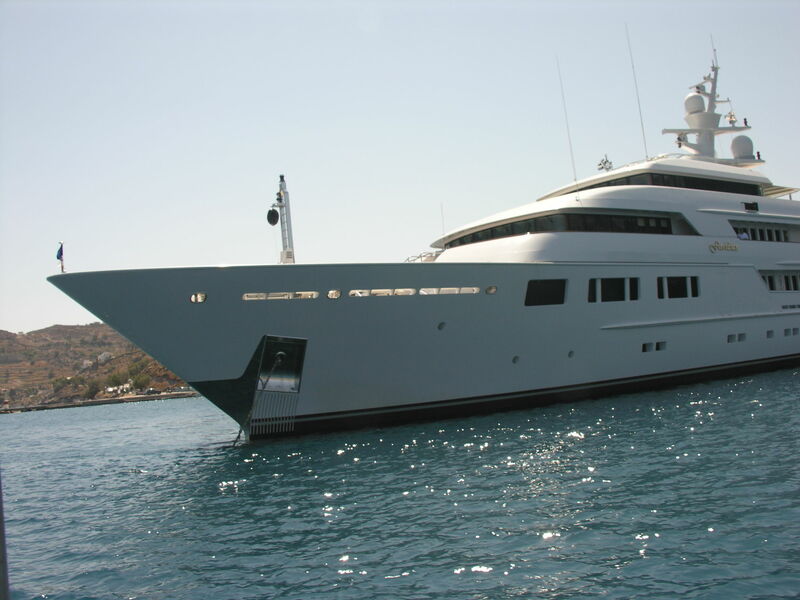 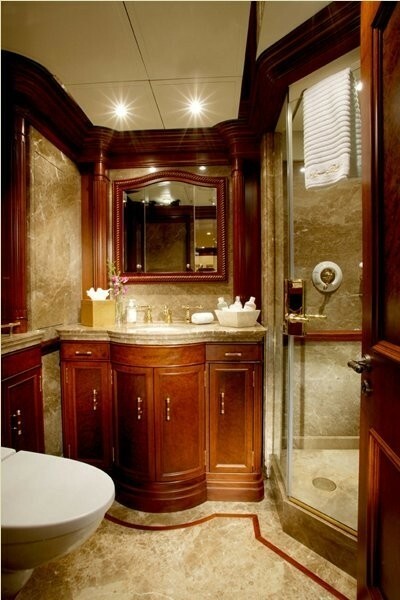 You can also have the utmost fun aboard in her swimming pool, wet bar or cinema. 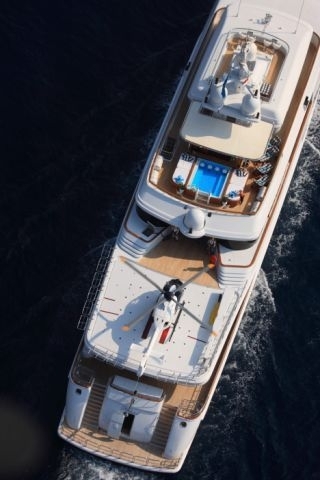 Rarely does a yacht offer everything like NOMAD does - in terms of state-of-the-art functionality, equipment, and amenities, while also featuring internal and external beauty in design and styling. 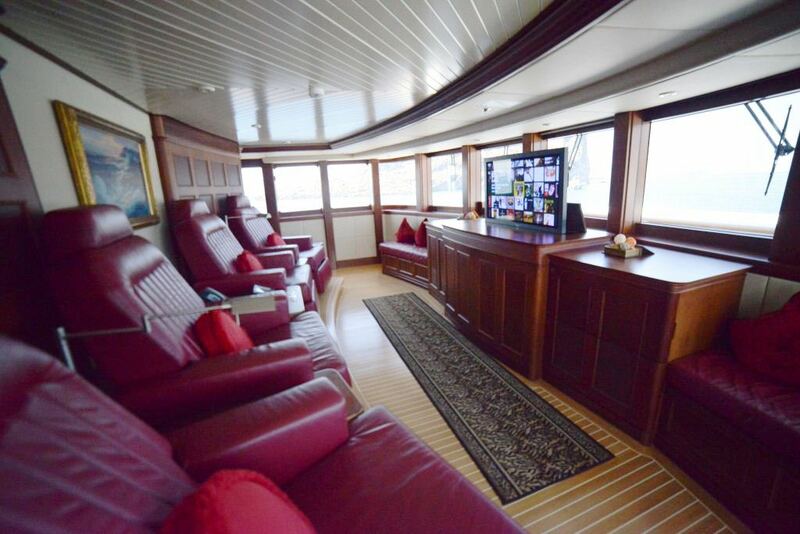 NOMAD's main salon boasts a large sofa, games table, and entertainment center with a plasma DSS TV & DVD & Music Stereo & CD, as well as a formal dining room which seats 14 guests. 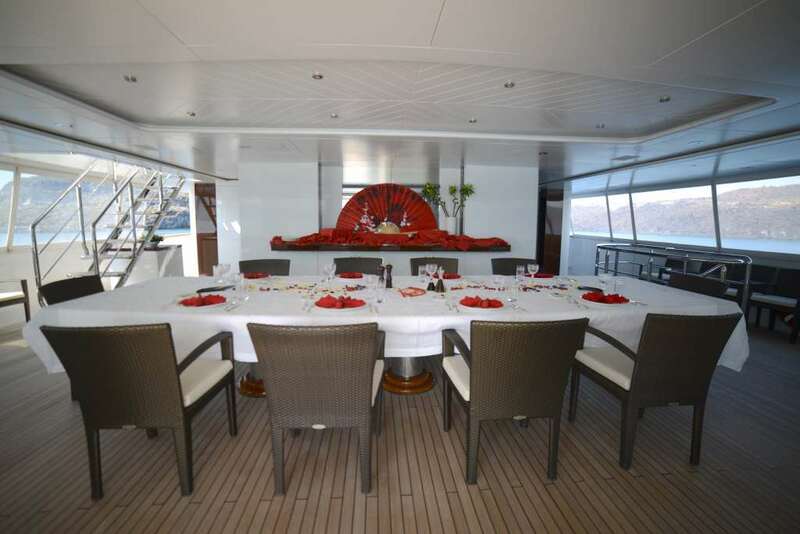 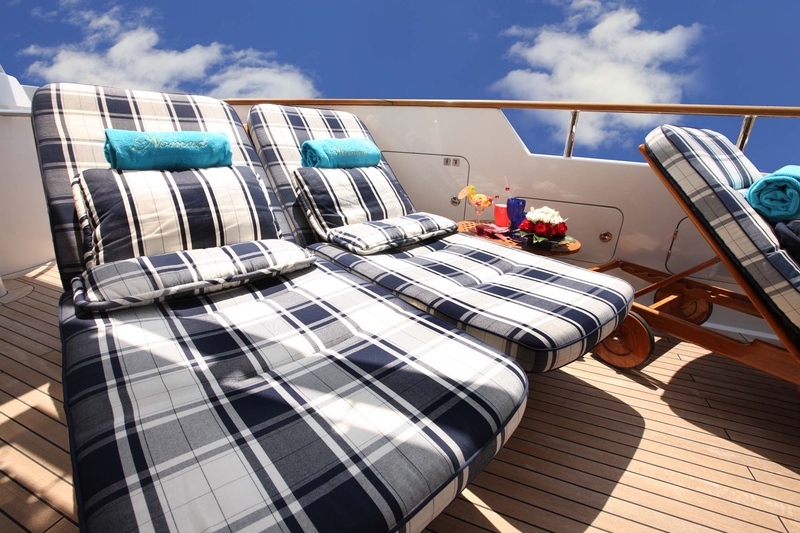 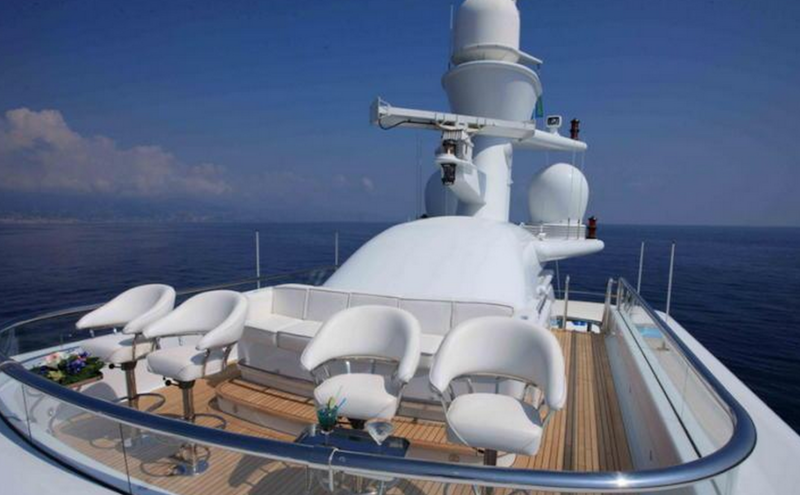 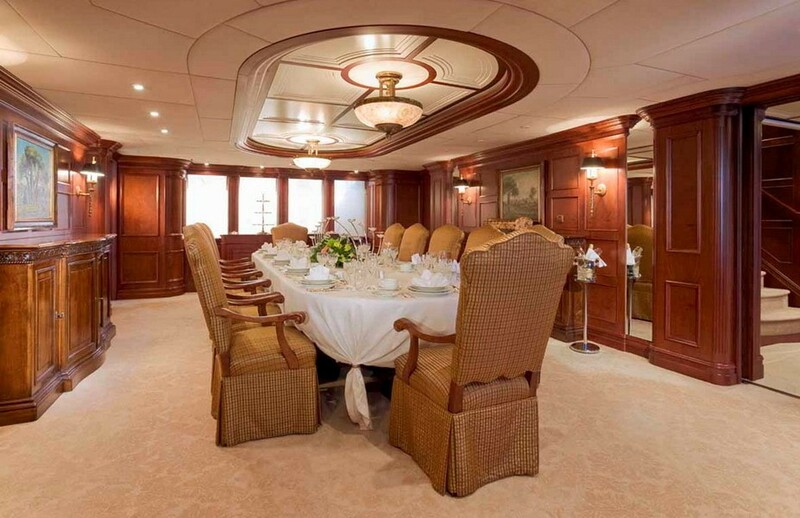 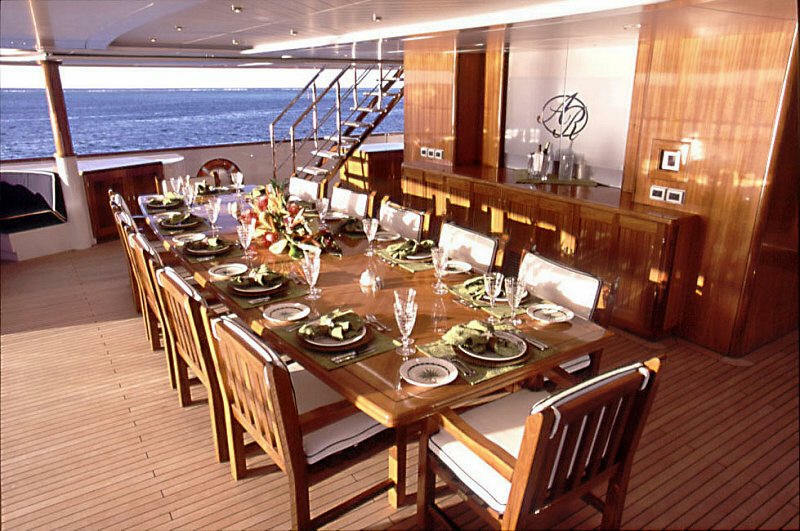 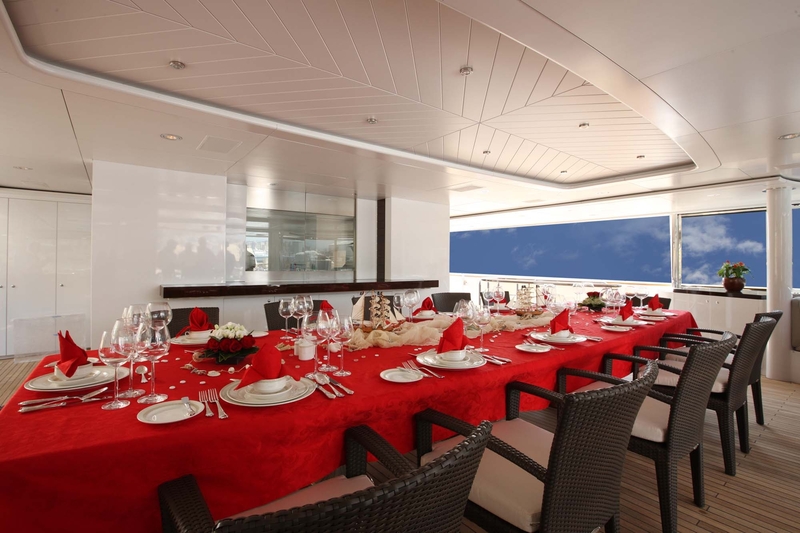 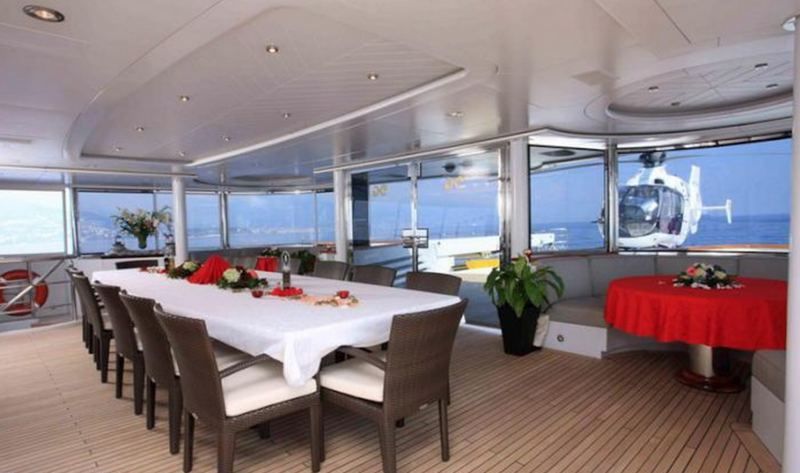 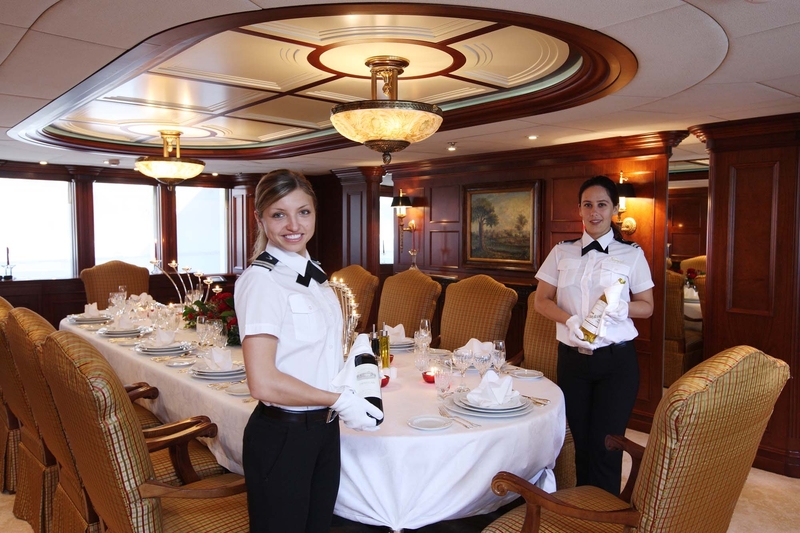 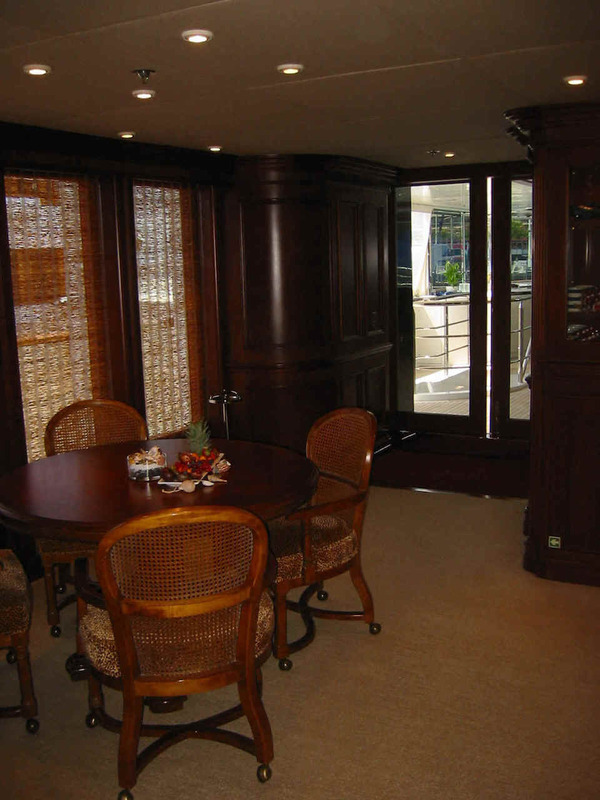 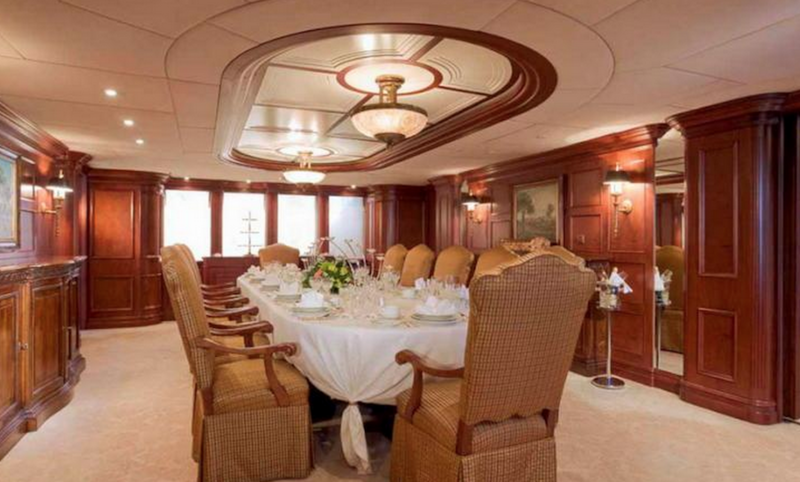 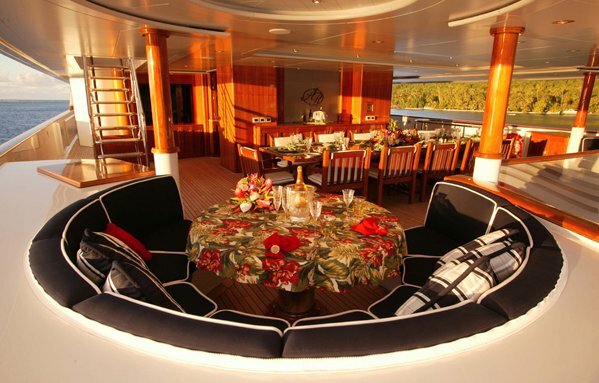 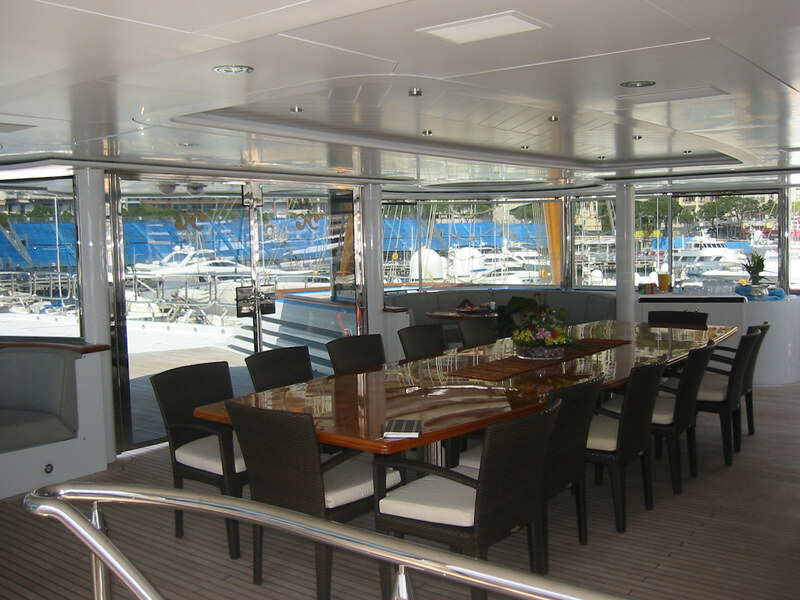 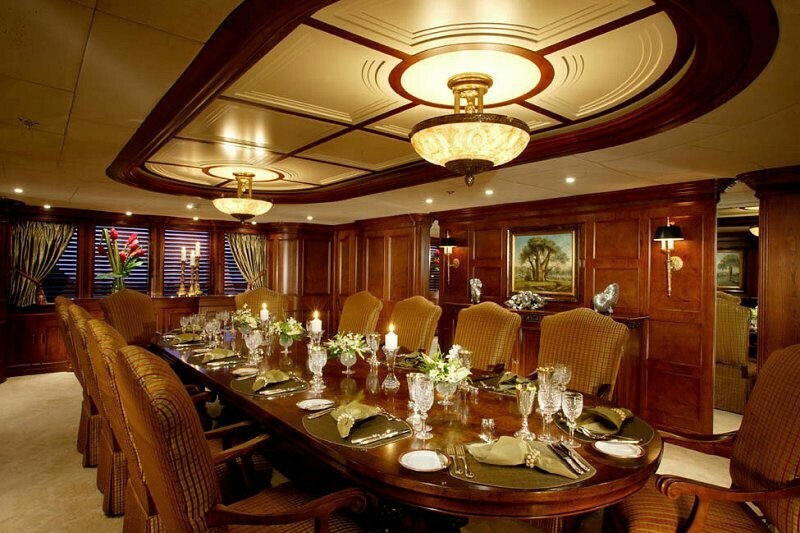 Her aft deck features two round dining tables with comfortable seating for 12 guests. 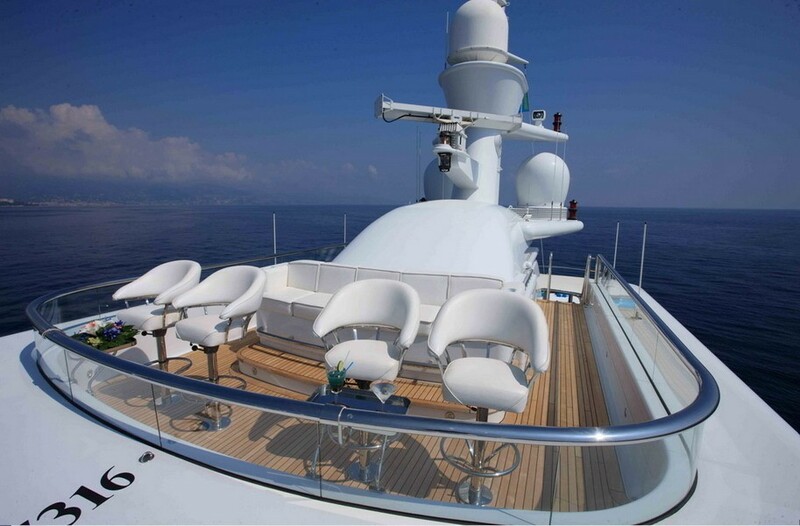 Her BBQ deck has table seating for 14 guests and also offers additional circular wing seating which can double as sun beds. 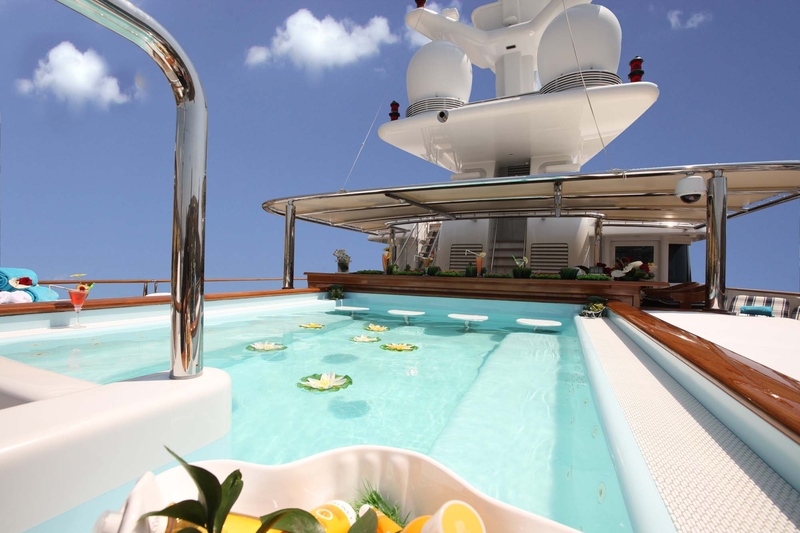 The sun deck features a Spa Pool, where you can swim up to the bar and sunbathing mattresses on each side as well as a fantastic Barbeque area. 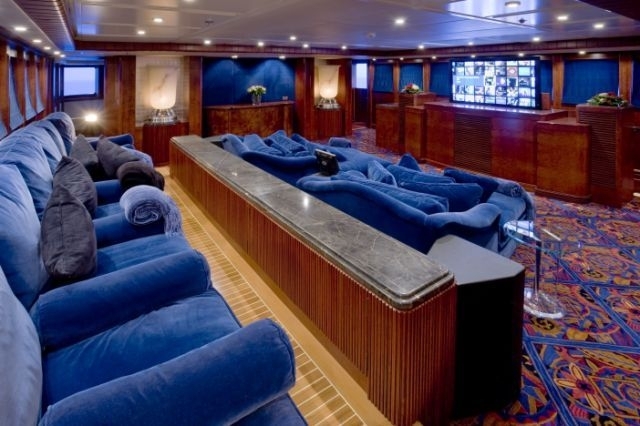 NOMAD’s upper deck theater where you and 11 others can relax comfortably in oversized couch lounges. 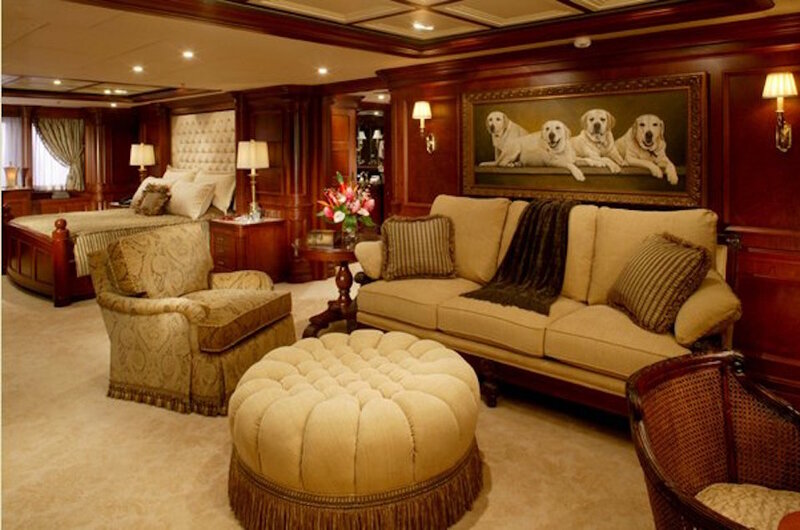 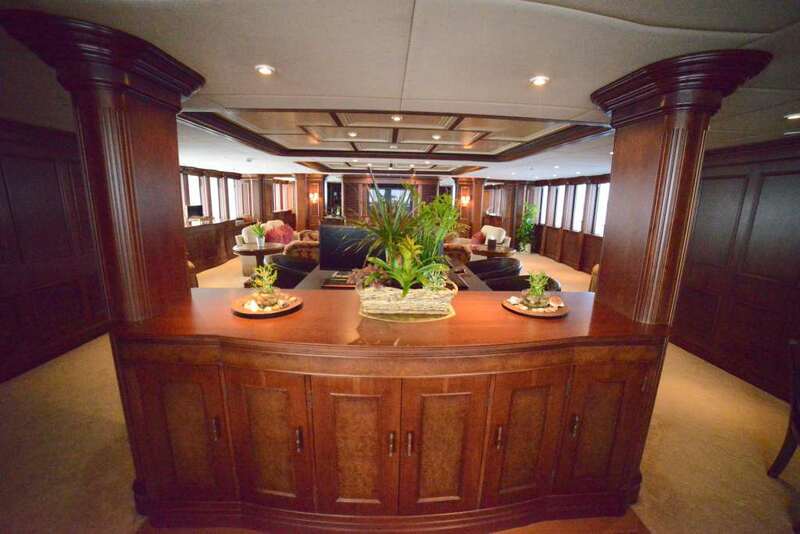 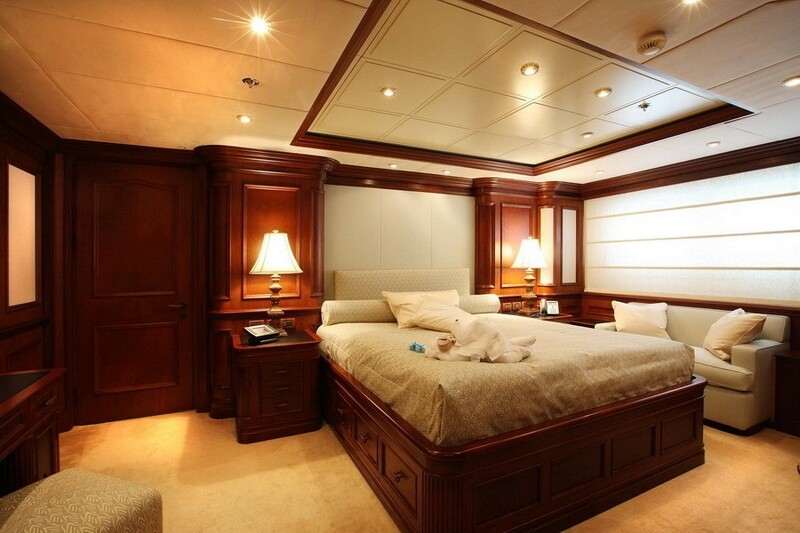 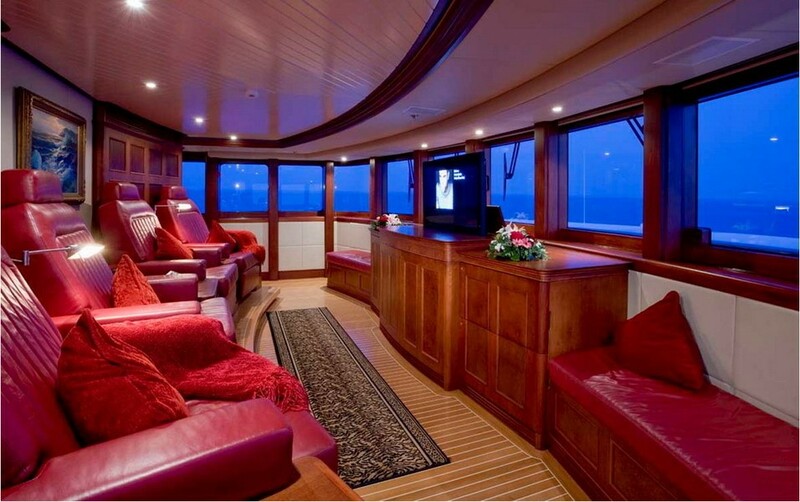 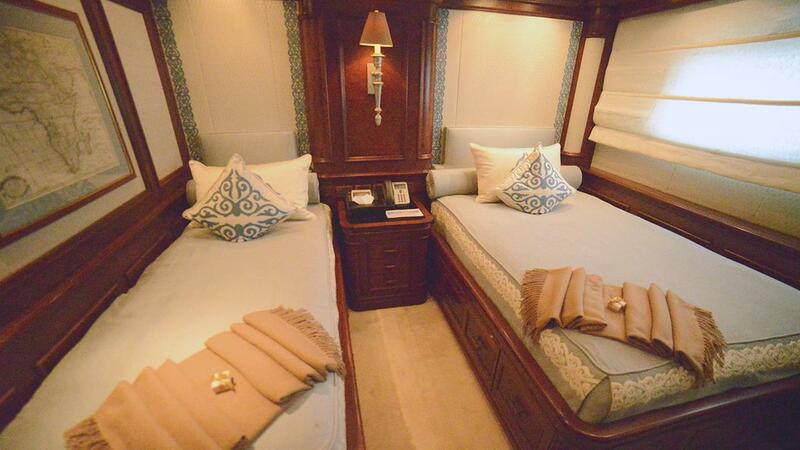 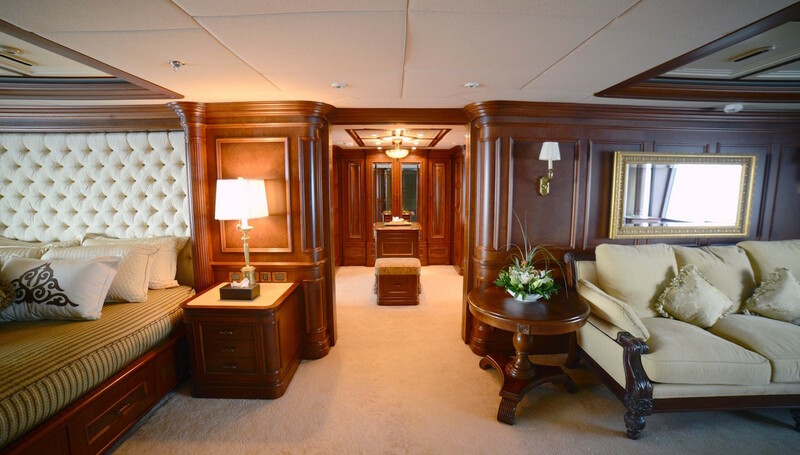 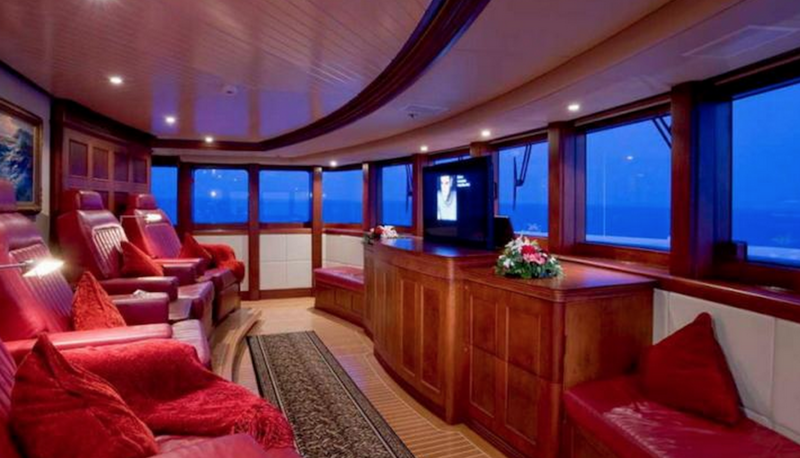 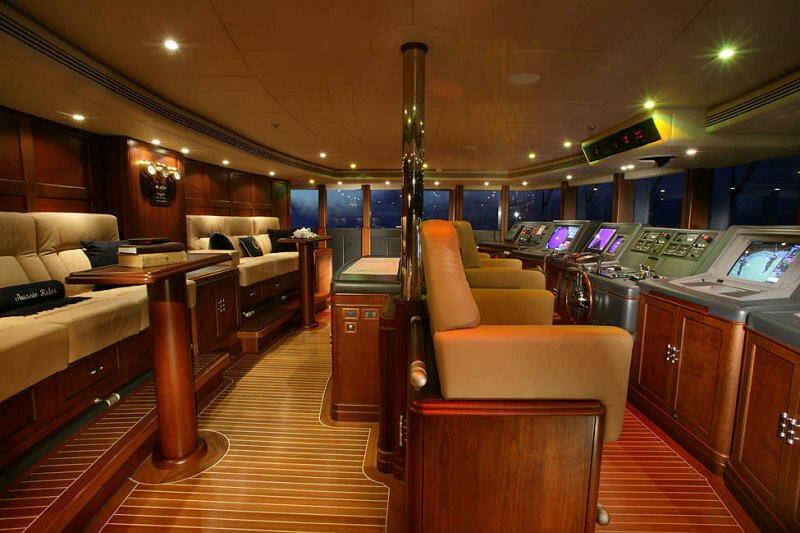 Her observation lounge and TV room on the upper deck provides more casual seating for guests. 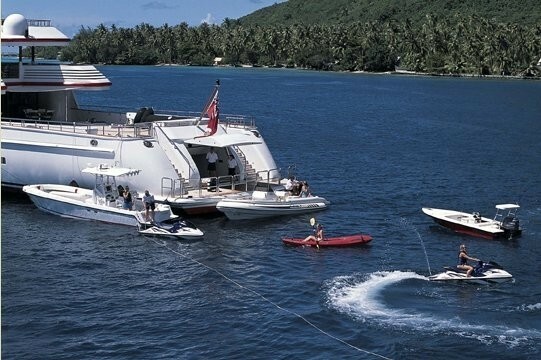 During the latest refit in winter 2011/2012 Nomad's tenders received a refit and a few water toys had been added, such as a rescue boat, two 6.7m Nautica tenders (225hp), two JetSkies, two laser sailing dinghies, two stand up paddle boards and two canoes. 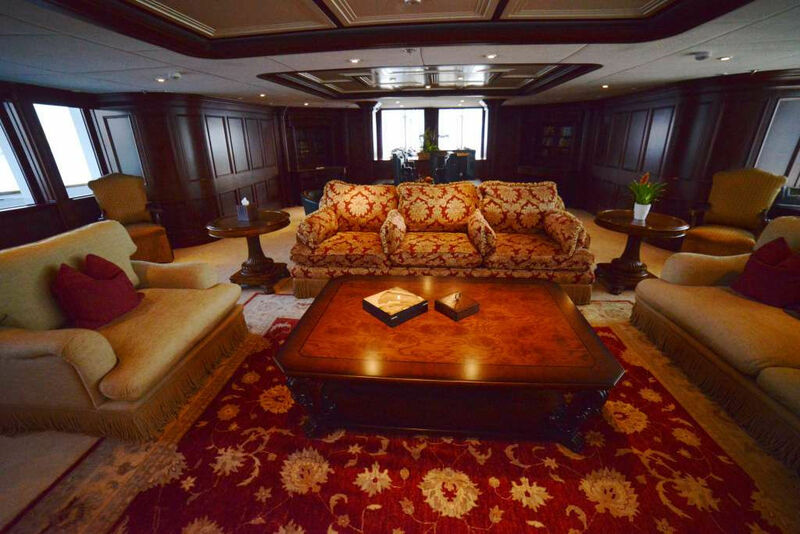 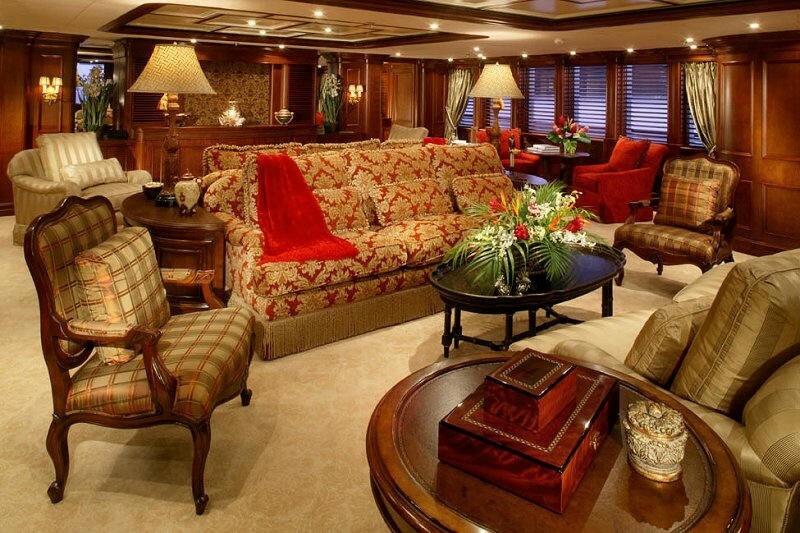 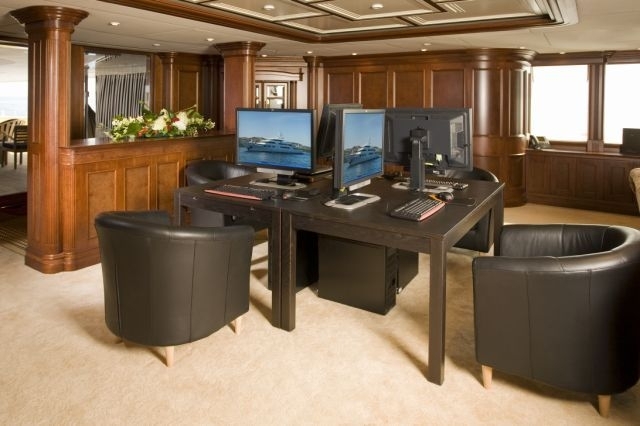 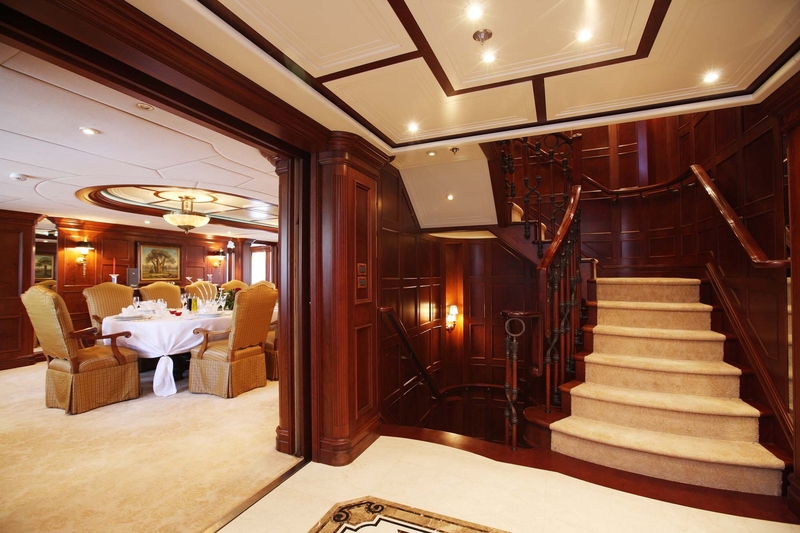 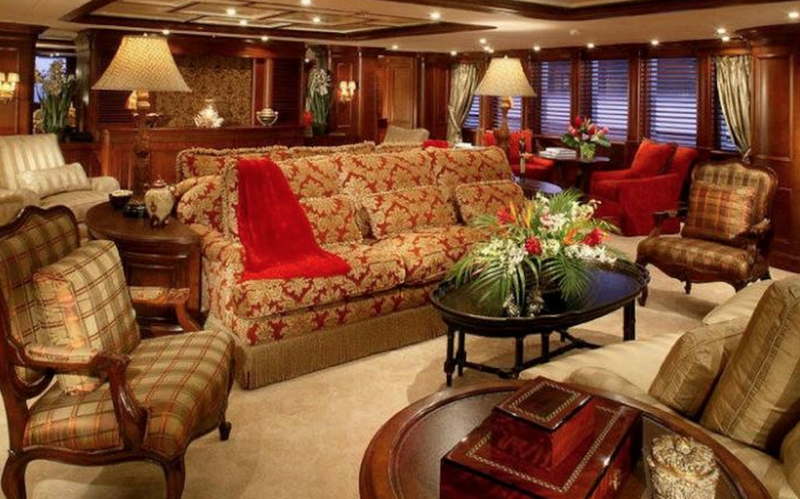 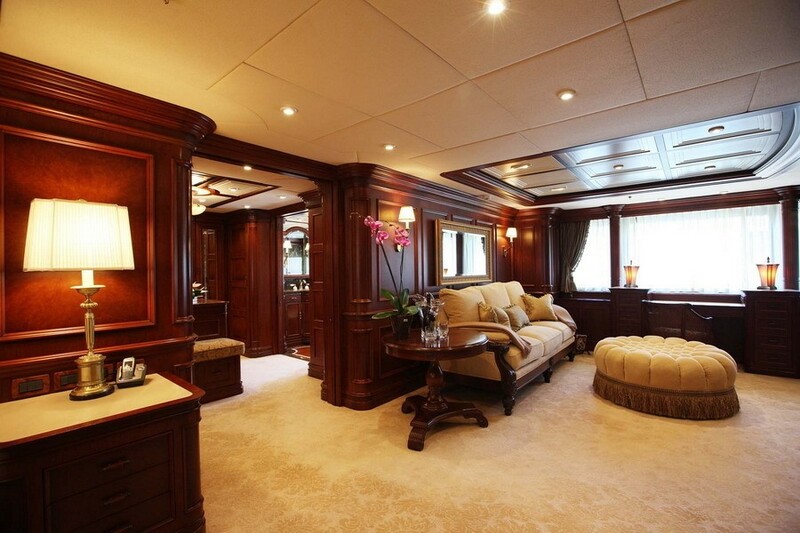 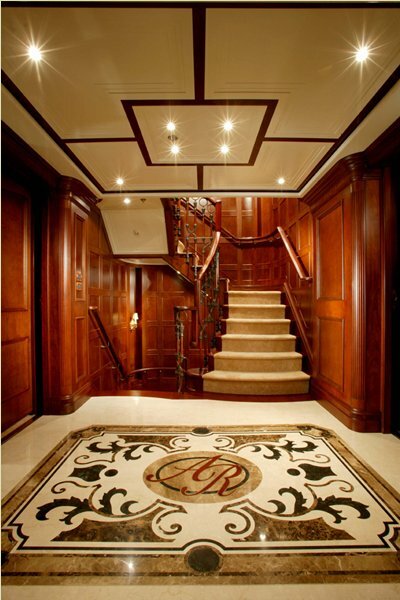 The yacht partially received additional furniture and a new seating area in the main salon.